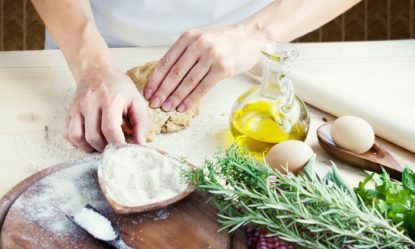 Sr. Leslie Porreca, RSM will share her favorite recipes from her recent trip to Italy at a Jan. 9 cooking class hosted by Cranaleith Spiritual Center in Northeast Philadelphia. The session will take place from 5 p.m. to 8 p.m. Sister Leslie will show students how to prepare manicotti, braciole and a special dessert. Recipes will be provided. Cost is $60 per person, which includes dinner. Tickets are available at https://conta.cc/2ClrLxu. Cranaleith Spiritual Center is located at 13475 Proctor Road in Philadelphia. For more information, visit https://www.cranaleith.org/.